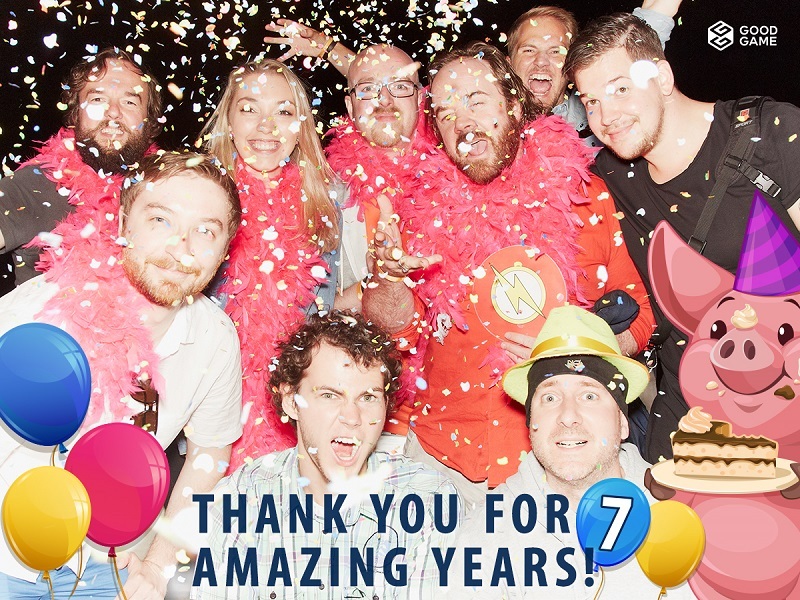 7 years of Goodgame: full steam ahead! How time flies! Another year has passed since the founding of Goodgame Studios, and we’re raising our glasses to our 7th birthday! A lot has happened over the last seven years. Our games are now played by hundreds of millions of people all around the globe, and as a company, we’ve had an eventful journey as well. Before we share our major highlights with you, we’d like to take this opportunity to thank our fans and amazing team for the past 12 months – without you, Goodgame would not be what it is today! Continuous transformation is a key element of our success, and we constantly reinvent ourselves so that we can continue to compete with the top players. This was clear to see over the past year. We began to implement our new product strategy, which was devised by management in close collaboration with the product strategy team. Although we have remained loyal to the free-to-play industry, we want to add a variety of new genres to our portfolio as well. Our transformation into a mature gaming company was also evident in July 2015 when we unveiled our new logo. The design and font are clear and timeless, and we retained our company colors. By dropping the word “Studios” from the text, our new logo shifts focus to what we’re all about: good games. The basis of our success is our games, of course! That’s why we’re beyond ecstatic that they have proven so popular with our players! Last year, the 300 millionth player signed up for one of our games, representing a major highlight of our year, of course. Our browser game Goodgame Empire alone has over 80 million players at the moment, and an incredible 60 million people have enjoyed the mobile version, Empire: Four Kingdoms. 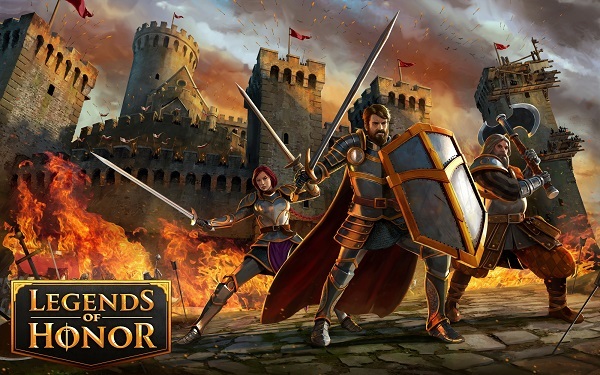 Another milestone was the launch of our new title: Legends of Honor. The medieval strategy game has been available for browser since January, and a mobile version for smartphones and tablets will soon break onto the scene. Furthermore, we’re also hard at work on some RPGs and casual games – and we can’t wait to tell you more about them! Besides developing games, another topic has kept us very busy over the past year: establishing an employee representation group for Goodgame Studios. Since the company was founded, our management has always put a high priority on creating a company culture that ensures a pleasant working environment, a high level of employee appreciation, and more. Waves were made last November, however, when the option of a works council for Goodgame Studios was discussed passionately. In January, the majority of employees ultimately decided against this option at a company assembly. Instead, we fine-tuned an alternative, custom-made solution designed by our employees, for our employees. 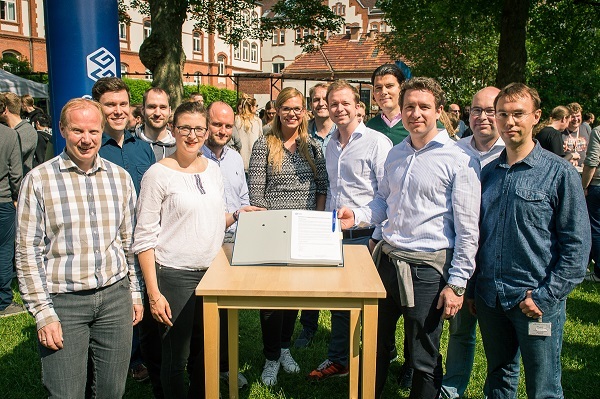 The foundation of this solution is a contract between employees and management. In May, over 85% of all Goodgamers decided in favor of this legal framework for an employee representation group, meaning we should have our very own committee before the end of the summer. Of course we’ve also been enjoying the Goodgame culture, as is tradition. We were treated to a variety of different feelgood campaigns, such as Health Day and our very own café concert. Our company parties were also quite impressive: the Christmas party with our GOODlympics winter games will go down in history, and just last week we held a small but splendid summer BBQ party. So as you can see, a lot has happened in both our games and our company. Thank you once again to all our loyal fans and colleagues for the great year. We’re already looking forward to seeing what the next 12 months may bring!